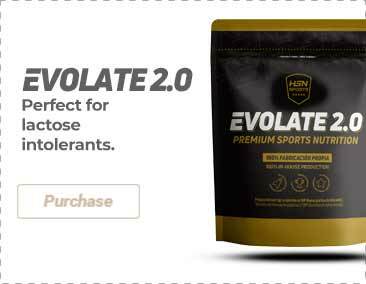 3000mg of Glutamine per serving. Glutamine 1000mg by Gold Nutrition fundamentally consists of L-Glutamine which is the most widely available amino acid in the muscle tissue and this is why it is an essential supplement in our optimal muscle growth diet. Glutamine 1000mg considerably reduces catabolic action, thereby preventing the loss of muscle tissue and permitting its creation, replacing glycogen and promoting protein synthesis. L-Glutamine (89%), capsule (gelatin). Produced in facilities where they process gluten, milk, soy, fish, crustaceans and seafood, which is why it can contain traces of them. Take 2 capsules after training and 1 capsule at bedtime. Once opened, store in a cool (under 25ºC), dry and dark place. Do not exceed the stated recommended daily dose. Keep out of reach of the smallest children. Nutritional supplements should not be used to replace a balanced diet. Not recommended during pregnancy or lactation, or in case of allergy or hypersensitivity to any of the components from the formula. Glutamine should not be taken by patients with hepatic cirrhosis, renal diseases, Reye's Syndrome or other pathologies that increase the accumulation of ammonia in the blood.